If you are interested in learning new things with friends, while having some drinks - this class is perfect for you. This is a party workshop that's relaxed, fun and easy - a great way to spend time with your friends! 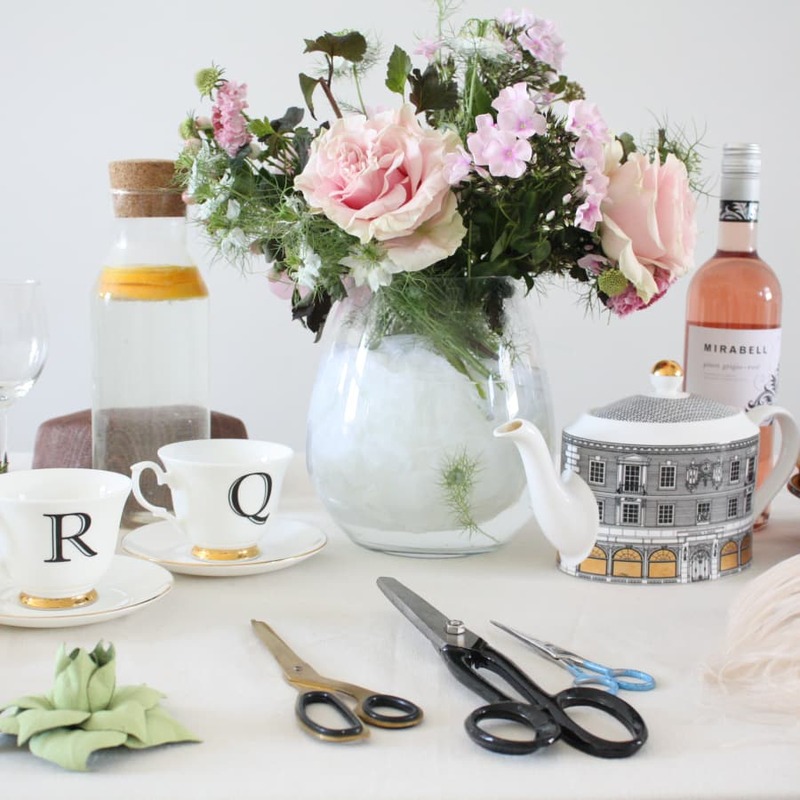 You will be greeted on your arrival with a glass of Gin and Tonic or Rosé with some nibbles. 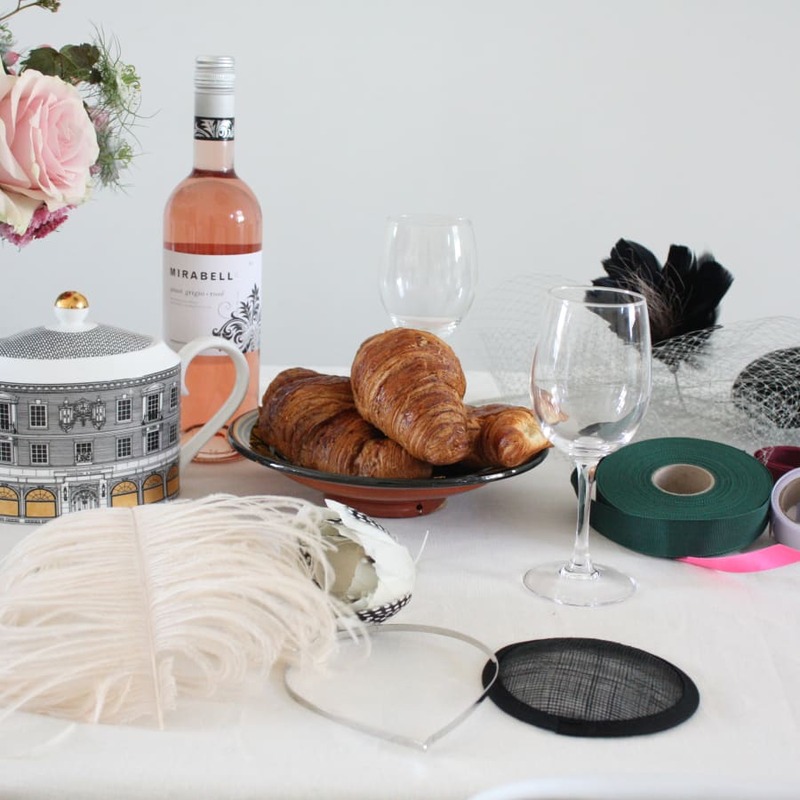 Food and drinks will be provided throughout the day while making your head piece, that's perfect for parties, weddings or a smart day at the races. This class is great for beginners, you will only be using simple cutting and sewing techniques, but the result will be amazing! Cecile Millinery was a great afternoon out and I'm really pleased with the head piece I created. Cecile is very knowledgable, has a great range of materials to choose from and there were a large number of hats around for inspiration. We took the class in her flat, which was very cosy and warm (great on a cold winters day) and were plied with ample tea, coffee, wine & tasty food. I'd love to go back and do another course, so would throughly recommend. Cecile Millinery is established in east London's creative hub. She always liked to create things and objets with her hands since her childhood. Her love and passion of creativity lead her to study costume design in France where she worked as a costume designer on feature movie , TV and fashion shows. Setting up in London was a logical choice where she develop a different taste and view thanks to the fashion industry. After a work experience at the renowned millinery Lock and co hatters she decided to start her company where she could express her own view and twist on hats and headpieces. All her hats and headpieces are handmade in London, her work is about craftsmanship , mainly using traditional tools with artisan techniques to handcraft each piece. Only using luxury fabric and ethical products. 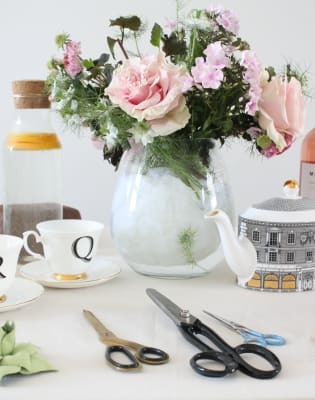 She also specialise in artificial flower making ,skill she learnt in Paris at Lemarie , the flower maker of Chanel, each of them are hand dyed and handmade.